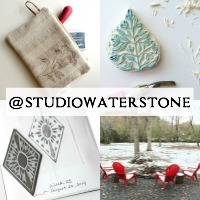 Studio Waterstone | Lori Plyler Art: rip off? ...it became possibly the coolest case yet. So what's the question? Look closely at the picture. The wording is upside down, but if you look carefully, you'll see that it says "Coach". It was the inside of a Coach bag. I am keeping this for myself and not selling it. BUT, when I showed it to a family member, she thought that I would be ripping the company off. What's your take? 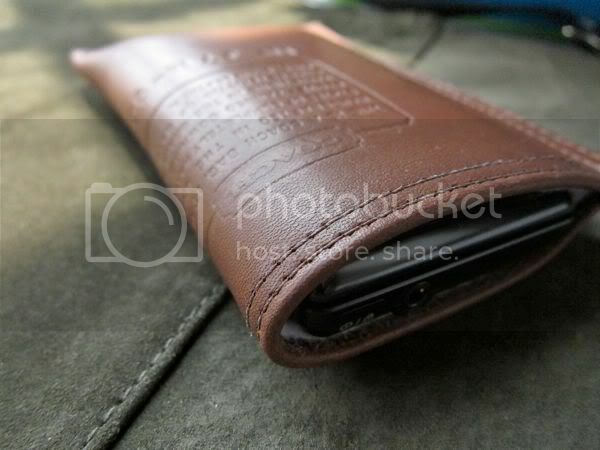 Is this ripping off the company if I sell a recycled piece of leather with the company name on it? I see possibilities, which is why I'm keeping it. Yeah, I know. It'll break my heart to keep it for myself, but hey, somebody's gotta do it, right? 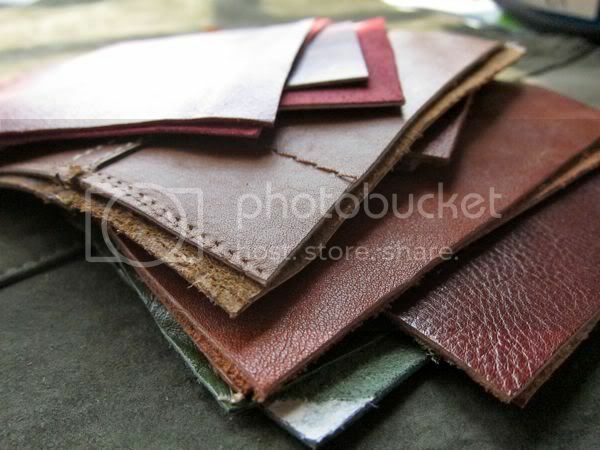 Look at my pile of leather for mobile phone cases. Isn't it loverly? They're selling in my shop now for $20. I'm in love with them and MUST stop keeping them for myself - bad for business. If I sold that, would I be ripping off Coach? Any attorneys out there? I'm not a lawyer...however, there is a local shop by me that sells little handbags that have been repurposed from vintage neckties...many of the ties are designer (for example, the Dior logo is prominent on one). It seems like you would be doing the same thing with the Coach piece? Certainly check with a lawyer, but it seems that repurposing an authentic original wouldn't be a problem. I just talked to my daughter who worked in the legal dept. at a large national Co. she says she's not an attorney but because the name Coach is on it that it appears to be Coach and she would not advise it...I think that you may be safe by having your brand name next to it to show you are not trying to rip off...I'v heard that if they do get upset that they just say "stop doing that"...I would think that obvious intent would have a lot to do with it...Good luck. I don't think it's a rip off, but I don't think that Coach would like it if they found out. I'm sure the least would be a slap on the wrist, the worst would probably be payment of a big fine. Ya' know what they say...better safe than sorry. Hmmm...next time I talk to my brother in law (intellectual property attorney for a huge law firm) I will be sure to pose this question to him. My guess from prior experience is that he would say not to do it. It would be your design, but blatantly Coach's intellectual property and would look like it came from them. I say keep it for yourself. There has to be a perk for being your own boss, right? i am not sure about the legal issues but i do know this photo is making me want one of your cell phone cases...i am off to your Etsy shop! I'm watching this argument because I upcycle clothing & make bags. I've had a few really cool buttons that clearly say Ralph Lauren (ok... what from him isn't absolutely awesome) so have avoided using them. the writing on the letter is really great - I wonder if you embellished it and covered up the coach name? Omigoodness! Omigoodness! Omigoodness! I am so excited that you commented on my blog!!!! Your purses are INCREDIBLE!! So, So, So pretty :) I am really kicking myself that I'm on a SPENDING FREEZE until after my wedding in September. If I were you, I would try Udi's gluten free bread. The Rudi's gluten free bread is pretty good, but the Udi's is the best!! You don't even have to toast it or nuke it! Ack !- there was recently a debacle in the etsy forums because someone had repurposed what I remember to be a t shirt with a beer logo and received a letter from the company to cease and desist so I would say keep this one for yourself...it is pretty awesome !